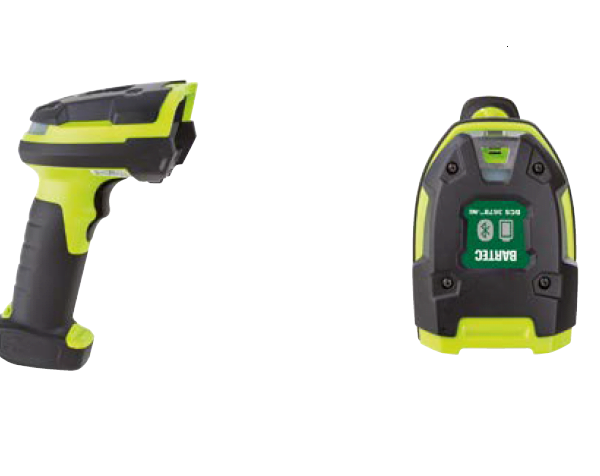 Explosion proof Intrinsically Safe hand-held barcode scanners ATEX Zone 2/22 and Class 1 Division 2 Hazardous Area certified. Bartec 3600 explosion proof hand-held scanners offer great performance for data capture of 1D & 2D barcodes, photos, documents, etc. 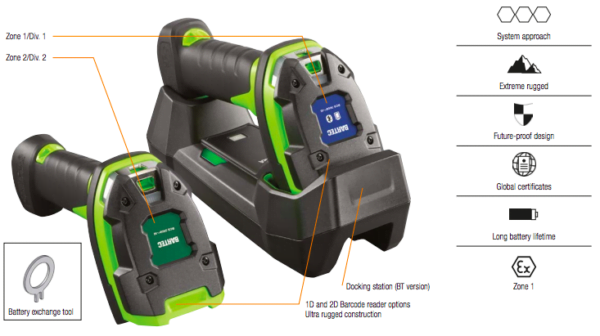 The Bartec devices are based on the ZEBRA “3600 Ultra-Rugged Series Handheld Scanners” series and are now available in an explosion-protected ATEX rated version. 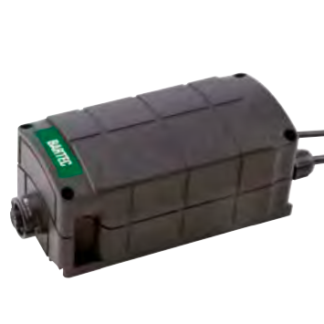 They are available for ATEX/IECEx and CSA. 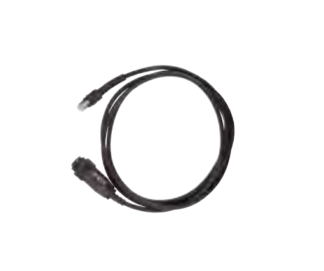 The series consists of either a corded (BCS 3608ex) and cordless (BCS 3678ex) Bluetooth version. These scanners enable every 1D or 2D barcode to be scanned from a distance of up to 2.1 m, but also capture a diverse amount of business information to rationalize everyday business processes such as OCR, documents and photos. Irrespective of the type of data your employees need to collect, you now get all the familiar functions from the industrial application for use in a potentially explosive atmosphere. 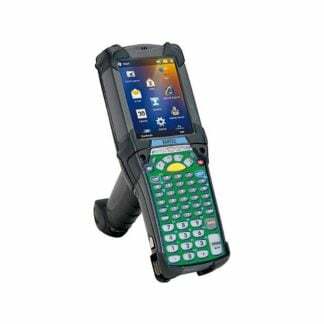 The Bluetooth version is ideal for mobile applications used to collect data from 1D barcodes, 2D barcodes, postcodes and OCR in a potentially explosive atmosphere. The rugged version offers all highly developed ergonomic and functional features required in industrial applications. For the Bluetooth version, there are several options for data transfer via Bluetooth. 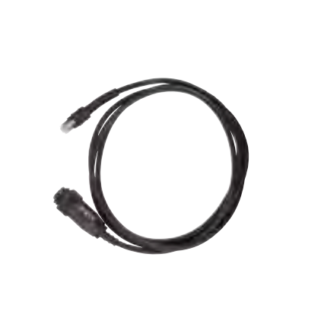 The corded version is ideal for stationary applications used to collect data from 1D barcodes, 2D barcodes, postcodes and OCR in a potentially explosive atmosphere. The rugged version offers all highly developed ergonomic and functional features required in industrial applications. 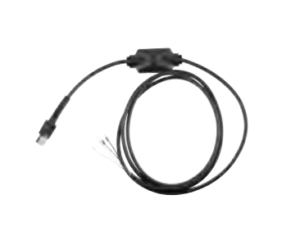 The corded version requires a universal supply module to guarantee ex-compliant voltage supply and data communication. Your employees can scan information at high speed – virtually all current barcodes under any conditions. From photos to document the condition of incoming deliveries, through to images for the purpose of electronic archiving. It is not even a problem if barcodes are damaged, soiled or have been printed in poor quality – this intelligent scanner can handle them all. There is hardly any place as tough as in the warehouse or the production plant. 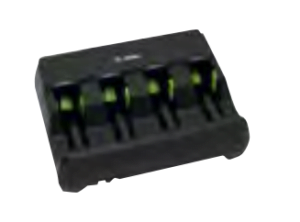 For this reason, we have now also developed an explosion proof version of the DS 3608 and DS 3678 from ZEBRA. 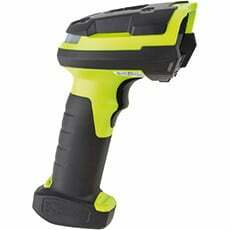 These models are available in a corded or cordless design and are the most robust scanners on the market. 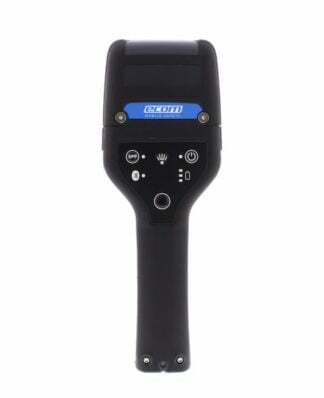 With the tools available, these scanners are easy to use. 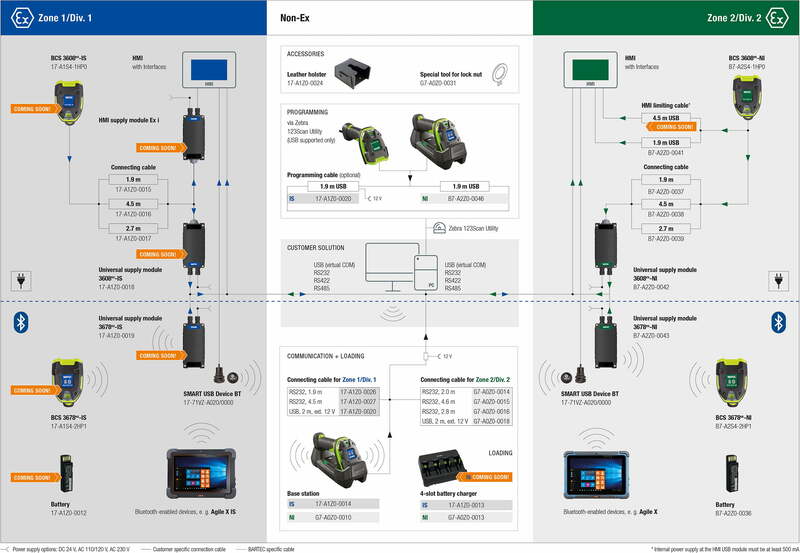 You can remotely configure and extend your scanners, format data for an immediate transfer to your business applications, monitor the battery charge of cordless models and much more. any barcode at the first attempt, even if it is damaged, dirty, poorly printed or under shrink-wrap. The BCS 3608ex/BCS 3678ex is our toughest scanner yet, with the highest drop and tumble specification and the best sealing of its class. 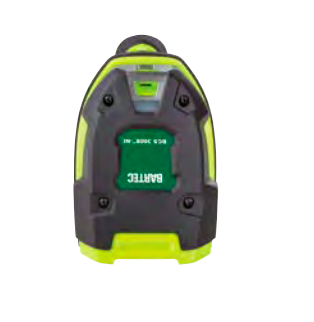 The BCS 3608ex/ BCS 3678ex is built to survive a 2.4 m drop to concrete, which is 23 % more durable than any other scanner in this class. The BCS 3608ex/BCS 3678ex operates reliably even after 5,000 tumbles, simulating the real-world tumbling that occurs with a drop. 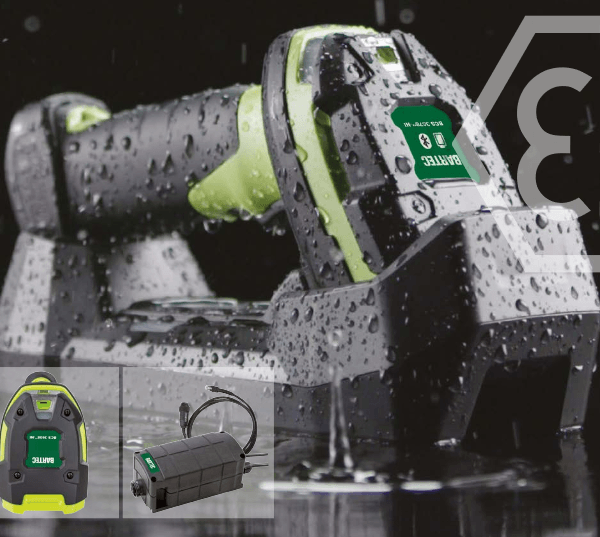 Both models are dust-proof, spray-proof and water-proofed to IP 65. With ZEBRA’s intelligent document capture, photos are taken, refocused and corrected to make them easier to read. The support of several OCR typefaces also ensures fast and simple data transfer. 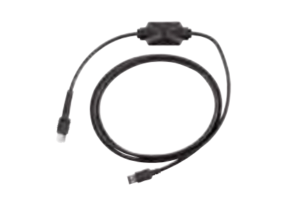 You can use the original ZEBRA tools for the DS3608-HP and DS3678-HP series. 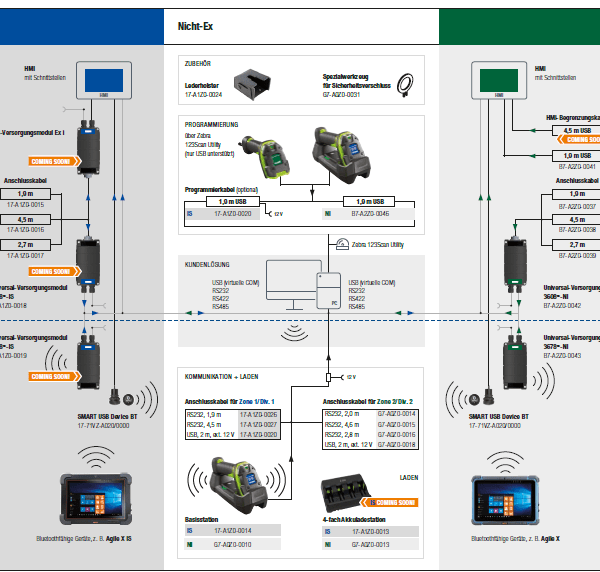 The 123Scan Utility and the Scanner Management Service (SMS) are available with which scanners can be configured remotely, firmware upgrades carried out, data formatted to fit your backend systems or the Power Precision /- battery statistics checked and more. Many labels have several barcodes which need to be scanned by your staff. Now, one press of the trigger captures the right barcodes and applies the unique data format required for each one for instant transmission to your back-end systems – all with complete control over the order barcodes are processed. Users can easily select and read an individual barcode from any pick list. 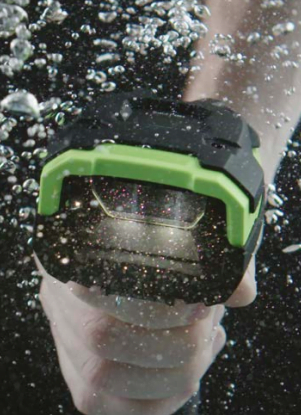 These scanners withstand extreme cold, heat and moisture and can be deployed almost anywhere. Bluetooth 4.0 (Low Energy) provides a lightning fast connection and maximum energy efficiency. Our ZEBRA Wi-Fi Friendly Mode eliminates the interference that Bluetooth devices can often create in Wi-Fi environments. The compact and rugged cradle offers excellent flexibility and durability. 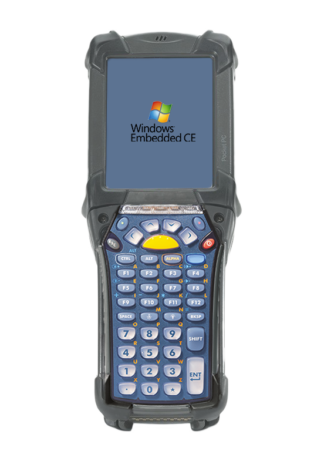 The BCS 3678ex is the only scanner of this product family with a cradle in the IP 65 class of protection. Its charging contacts withstand 250,000 insertions. The first-in-its-class ‘battery charge gauge‘ and Bluetooth status LED make it easy to monitor battery power as well as Bluetooth connectivity. The Power Precision /- battery represents the ultimate when it comes to battery performance and management. You achieve more scans per battery charge compared to rival products and obtain a wealth of data about the condition of the battery, for example past charge cycles, current battery status and an operating status display that indicates whether batteries are functioning efficiently and are fully charged or whether they must be taken out of operation. 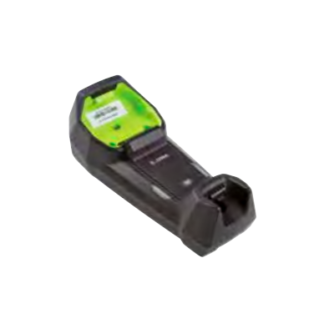 The cordless Bluetooth version is ideal for mobile applications used to collect data from 1D barcodes, 2D barcodes, postcodes and OCR in a potentially explosive atmosphere. 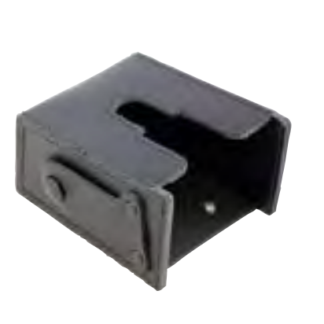 The rugged version offers all highly developed ergonomic and functional features required in industrial applications. For the Bluetooth version, there are several options for data transfer via Bluetooth. on a PC Programming manual Permits programming by scanning barcodes. firmware upgrades, provision of scanned barcode data and printing of reports. scanners and retrieves its inventory data. Ordering information BCS 3678ex-NI B7-A2S4-2HP1 Technical data subject to change without notice. Programming manual Permits programming by scanning barcodes. barcode data and printing of reports. Ordering information: BCS 3608ex-NI B7-A2S4-1HPO Technical data subject to change without notice.